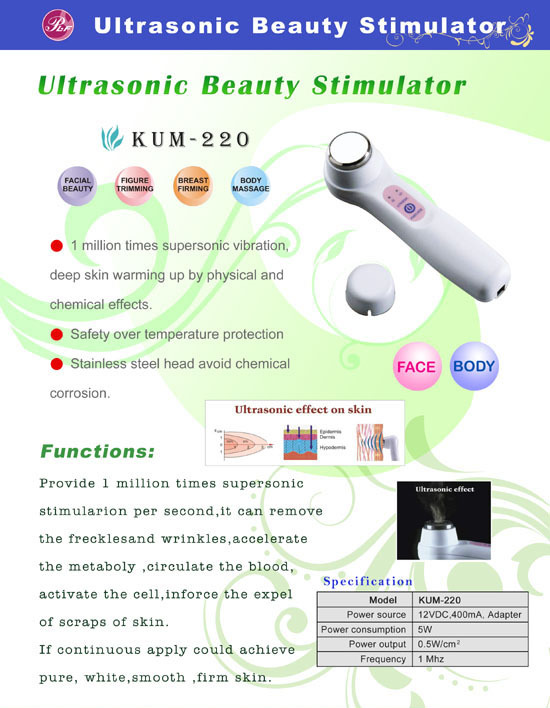 Taiwan Skin Care Machine(KUM-220), Beauty Equipment, Skin Care Machine - Palifull Co., Ltd.
warming up by physical and chemical effects. ● Stainless steel head avoid chemical corrosion. the expel of scraps of skin.